XML comments are very useful in order to explain the XML tags. 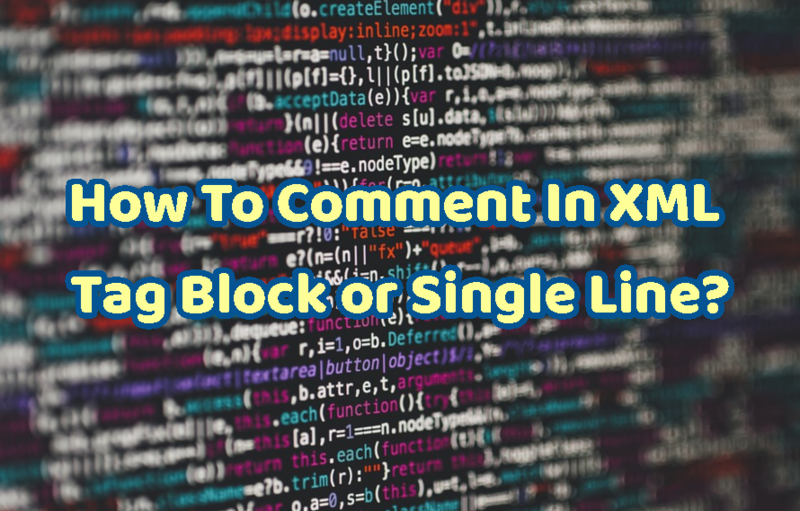 Also if we want to test some XML code with and without we can use comments to enable or disable single line or XML tag block. XML has similar syntax and terms to the HTML and also comment term is the same. We can see in the following example we will comment on the second student which is in red. This means the second student named Ahmet will not processes by XML processors. We can comment a single line with the &lt;!-- SINGLELINE --&gt;. This will only affect to the single line and do not comment upper or lower lines.